Earlobe tears or splits are extremely common and occur to hundreds of thousands of people. Earlobe damage can occur to individuals who wear heavy, dangling earrings which eventually work their way down through the lobe, separating it as it goes. Large hoop earrings can catch in clothing and also result in a torn earlobe. Small children and babies often grab hold of an earring and pull downward – causing the earlobe to tear. The most common cause of earlobe damage, however, is repetitive daily use of earrings over many years. Earlobe Repair is a safe, effective office surgery performed to restore the earlobe. It is one of today’s most common procedures and Dr. Yeh performs it on a regular basis. It takes about 15-30 minutes with minimal discomfort and no downtime. Healing takes from 7-10 days resulting in a repaired, strengthened earlobe. Men and women of all ages who desire to have Dr. Yeh repair a torn earlobe(s) – and who are in otherwise good health – could be suitable candidates for Earlobe Repair Surgery. During your consultation, Dr. Yeh will be able to determine if Earlobe Repair Surgery is appropriate for your specific needs. The most common method used for repairing a torn/split earlobe involves cutting a small notch on the torn lobe then meticulously stitching the lobe back together to restore it. Healing generally takes 7 days after which sutures are removed. Dr. Yeh will instruct you on caring for your repaired earlobe(s) and when you can resume wearing ear rings again. 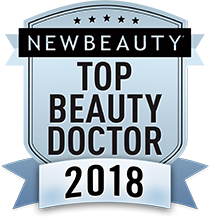 His skilled hands & extensive knowledge – combined with an artistic eye & experience enables Dr. Yeh to achieve the most natural looking results possible.